Not all hotels have succeeded at making themselves “giftable”. As a result many of them are missing out on income from the sale of Experiences that can be turned into gifts for selling online. Hobo Hotel in Stockholm is not one of those missing out, as it succeeds at generating new revenue online from the sale of its popular Popcorn Sunday gift experience. Joining the experience economy might not be as daunting for hotels as they first think. Hotels have the core services already in place. They just need to “gift-ify” them, according to Daniel Brazier of HotelEtail, a Stockholm based company that creates and manages hotel branded Experiences and Gifting services for Scandinavia's most exciting hotels. According to a recent Forbes article an overwhelming majority of travelers today say they prefer to spend their money on experiences over things. “Louis Vuitton is out, Vietnam is in”. It therefore makes sense that more and more travelers may make sacrifices at the accommodation level and use their money for unique experiences instead. Airbnb’s CEO Brian Chesky would agree, which is why Airbnb is also betting big on the role of experiences with accommodation, and is something hotels should pay attention to too. Airbnb Experiences offers activities hosted by locals, like a photography workshop, coffee shop guided tours or a cooking class. The service is now doing a million and a half bookings per year. And it’s growing much faster than Airbnb homes did, according to Chesky. HotelEtail helped Hobo create the Popcorn Sunday Gift Experience by merging a night at the hotel with a local movie theatre, to turn a normal Sunday evening into a unique Experience that can be purchased in the hotel’s online store shophobo.se operated by HotelEtail. 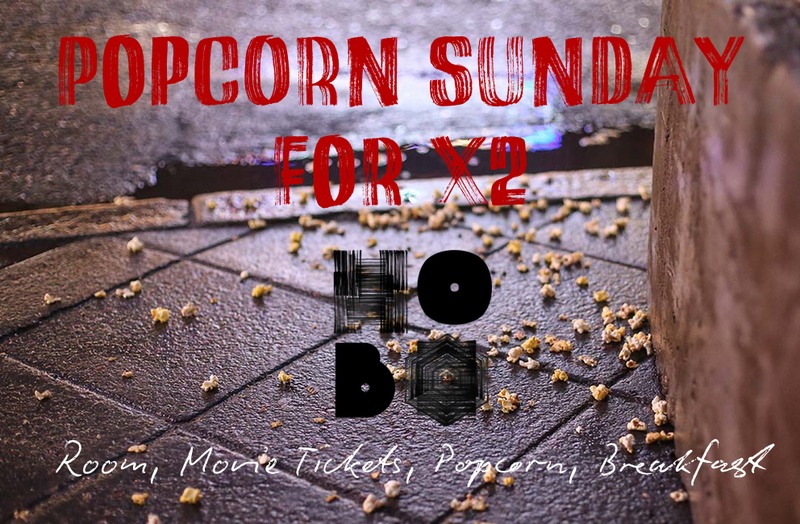 The Experience includes a night for two, movie tickets, breakfast and of course lots of Popcorn! The online orders are handled by HotelEtail’s customer service team and then shipped to the guest’s office or home. The customer can then easily surprise a colleague or loved one with the gift. Allowing them to make the room booking at their convenience. The advance payments generate positive cash flow for the hotel, and with a 50% average redemption rate it can end up very profitable for them, explains Daniel. “We knew we were onto a winner when locals started buying the gift experience online” explains Niel Swart, eCommerce Manager at Hobo. “Popcorn Sunday has given locals a reason to stay with us at the weekend, which has brought all kinds of benefits”. Hobo and HotelEtail will be continuing its expansion into the experience economy in 2019, “with plans to increase sales of Popcorn Sunday gifting through targeted video content on LinkedIn and Facebook” explains Mattias Stengl, GM at Hobo.